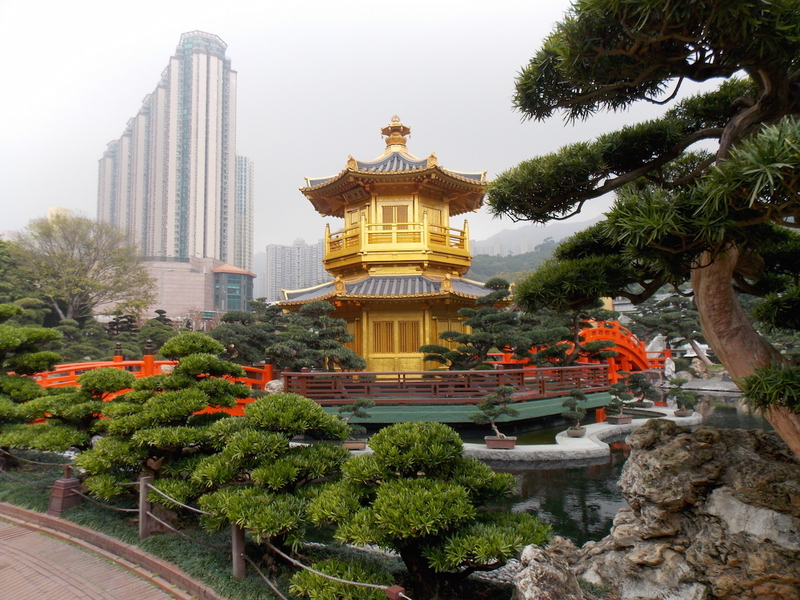 The weather was looking promising, so without much hesitation I took off as soon as I had breakfast, hastily trying to catch a Wi-Fi signal so I could see how to get to my next point of interest, Nan Lian Garden and Chi Lin Nunnery. The nunnery closing time is 4 pm, and the garden is open until 7, so I had to assign them their own day. Besides, it was my last day alone, as my family was arriving the day after; and I have already seen everything that I had planned. The first rainy day caught me a little off-guard. I mean, I did expect it since I checked the forecast, but I was not emotionally ready for it. So after the full week of straight sun, I got a reality check, and spent the first half of the day in my bed because I didn’t feel like going anywhere.